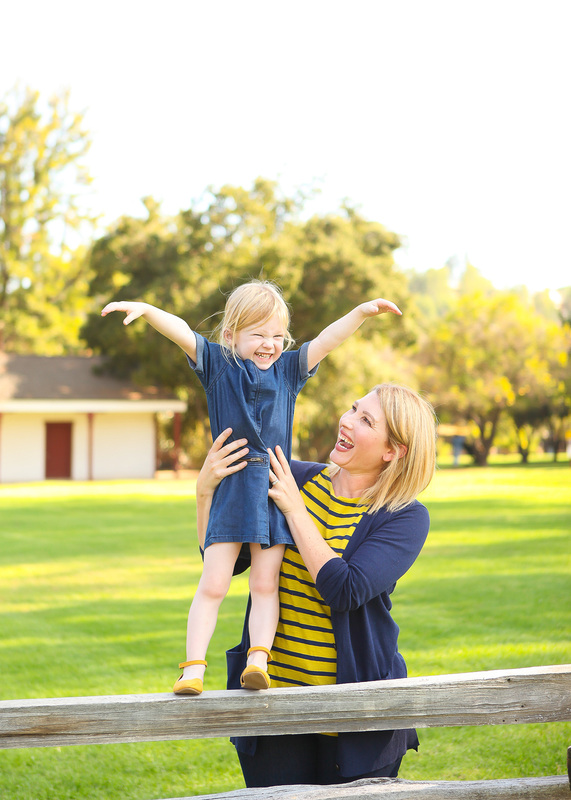 From schoolteacher to mommy blogger, Carly Anderson turns passion to profit. Carly Anderson started Lipgloss and Crayons with no intention of being at the top of the mommy blogosphere. A schoolteacher in Los Angeles in 2011, Anderson got her start writing about classroom tips. At a loss for what to share during summer vacation, Anderson began to evolve Lipgloss and Crayons into more of a style blog. Then, following the birth of her daughter Lydia, she naturally began to cover the products and outfits beloved by her little one. Digging deeper into what life entails as an influencer, Earnshaw’s asked Anderson to share her advice for working with brands and staying true to her followers, all while being an attentive, down-to-earth mother. How do you connect with brands initially? My goal is always to partner with brands that we actually use and love. I try to show the brands in our day-to-day life, along with professionally shot blog posts or Instagram photos. I love connecting in person when possible, and being here in Los Angeles, I’m lucky I have the opportunity to do so on a regular basis. I attend conferences with the intention of connecting with new brands while reaching out to the brands I’ve already established relationships with. Any favorites out of the companies you’ve worked with? We love working with larger brands such as Zulily or Macy’s, but also smaller, independent companies. Primary is always a huge favorite for us because we love that they’re mom-owned and ethically produced. We are also huge Disney fans and have had a number of opportunities to collaborate with various departments there. Do you have a favorite type of collaboration? We’ve been blessed with so many special opportunities through working in the influencer space. Some of our favorite brands have helped us give back to our local community, and that has been especially rewarding! We love to work with brands that have a philanthropic component. It’s a huge priority for us to support ways our audience can give back with their retail dollars. What’s the hardest aspect of being an influencer? The hardest part is deciding which brands to collaborate with. We have had some amazing opportunities; however, we always want to make sure the partnerships we agree to are reflective of our style and values as a family. Were you ever doubtful about showing your daughter on the internet? In the beginning I was very worried about the idea of putting Lydia online. She was born with a facial birth defect, and I was concerned about the response we would receive, but we actually got a ton of positive support! Have you talked to Lydia at all about social media? Lydia is a little young to fully understand social media, but she does understand that her pictures are seen by the public. As she gets older, we will continue to discuss her feelings about being on social media. What’s the best advice you’ve received about being in the business? As social media becomes a mainstream form of advertising and marketing, the content becomes increasingly polished. I think it’s extremely important to stay true to your voice and personality. I love that Lydia’s personality shines through in our content. She’s the exact same way in real life as she is in our photos and videos.